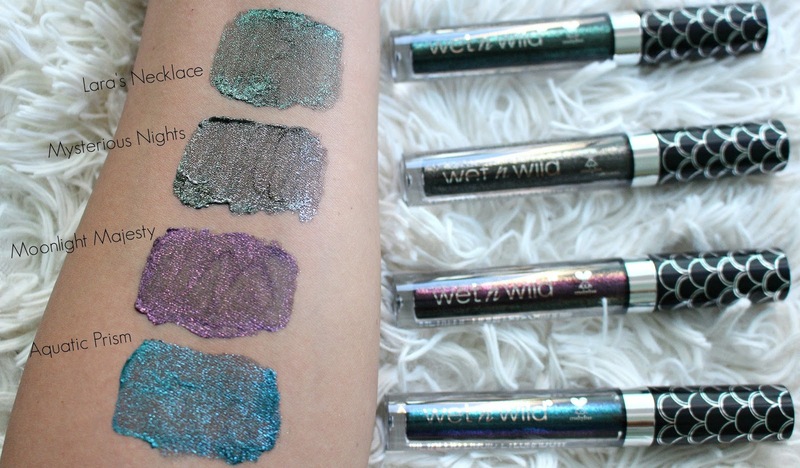 Brand new at the drugstore are the Wet n Wild Midnight Mermaid Metallic Liquid Eyeshadows. 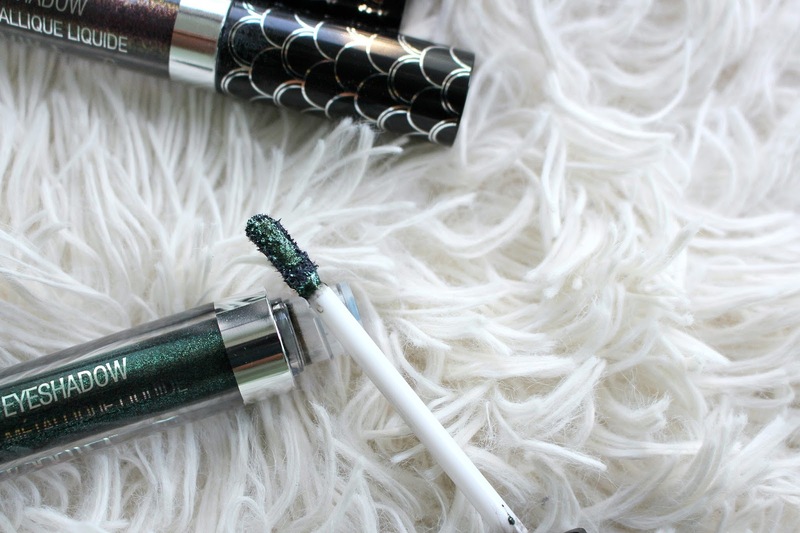 I've also swatched the Wet n Wild Mermaid Highlighter and Mermaid Liquid Lipsticks in past blog posts. I also have an entire Live Swatch Video about the collection. If you're Canadian the first question is, where can I find this?! Honestly, I don't know. The Wet n Wild team informed me that in Canada retailers are not as open to stocking to the brand for whatever reason. The haven't clued into the fact that the brand is freaking amazing and affordable. But, keep your eyes peeled at your local retailers that stock it, it will probably show up in a random area as the collection is Limited Edition. The Wet n Wild Mermaid Liquid Eyeshadows retail for just $4.99 and come in 4 incredibly impactful shades. Mysterious Nights and Lara's Necklace have more glitter, while Moonlight Majesty and Aquatic Prism have more of a high shine metallic finish. All 4 have strong bases, not just glitter suspended in liquid. I would recommend building in light layers for full pigmentation, letting dry in between. If you are reaching for a powder shadow to blend just work lightly. *These products were provided for my review, all opinions are my own.